I have circuit drawn in AC, they were 2 cascaded BJT transistors, and I have changed them to the hybrid pi model. I wish to remove the source and load in order to write a general gain equation for each hyrbid pi model itself, so I can re-draw them both as amplifier models. In order to do this, I need to know across which element is Vout for transistor 1? The upper image shows the original circuit, I know that the DC VCC is now set to zero therefore ground. 2) How do I find Vout in this example? 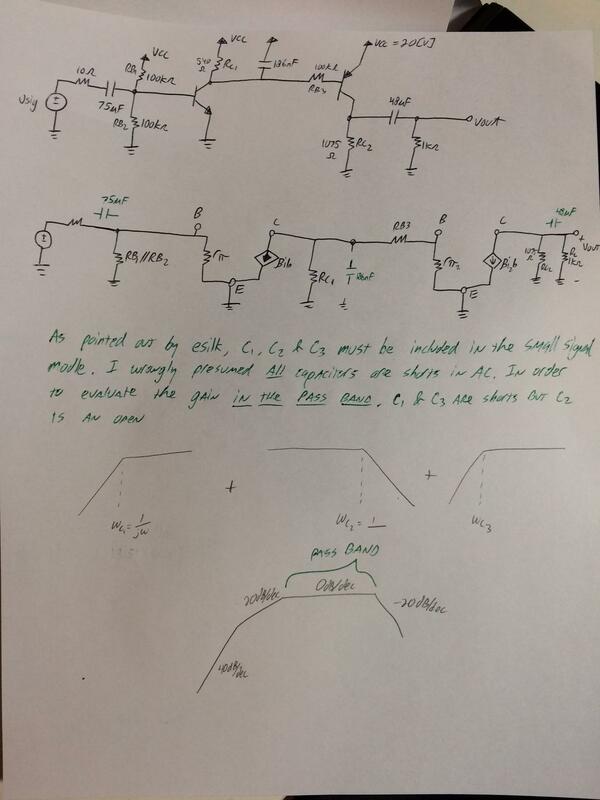 @esilk, my error was indeed to wrongly assume that "all capacitors are shorts in AC" I have since learned that, in the pass band, not all capacitors are shorts. Had C1, C2, and C3 been shorts, then indeed the gain would be zero. Lastly Jonk wanted to see me find DC operating point. 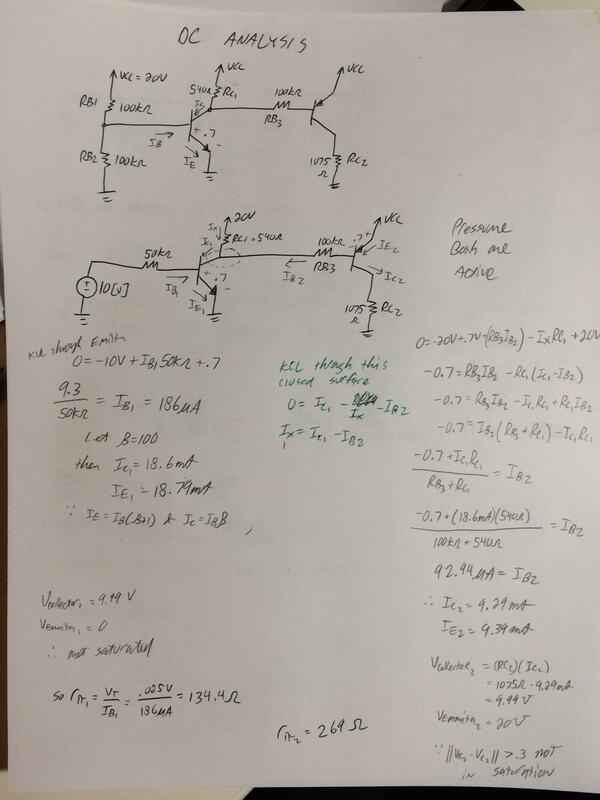 Below is my DC analysis, I did verify its fwd active mode, and I do understand that to find Q point of one transistor it is the mid point of Vbe's active region, but Im unsure how to handle the "Q point of a circuit", but I would like to learn. You are nearly there if you have a small signal equivalent circuit and are confident in its accuracy for your application. Each node will have an equation that describes it, describing all nodes will give you a system of equations that can be solved for your variable of interest. Based upon your given small signal equivalent, I see 6 nodes, which means you will 6 equations. One of these nodes, Vin, is known. Its just algebra from there to solve for Vout. Edit to address clarification in comments: Vin is not always Vbe, and output is not always Vce. It depends on your topology. In a common emitter with degeneration (a resistor placed from emitter to ground) Vo is the sum of Vce and Vre. In a common base amplifier, input is Veb, output is Vcb. 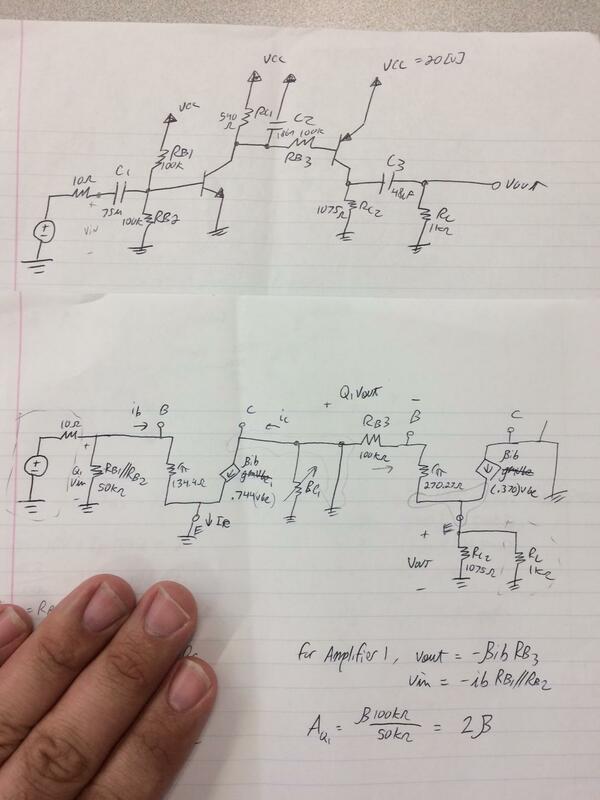 In a common collector amplifier, while input is still Vbe, output is Vre. Not the answer you're looking for? Browse other questions tagged bjt gain or ask your own question. How do I get Ad and Acm for a BJT differential amplifier? 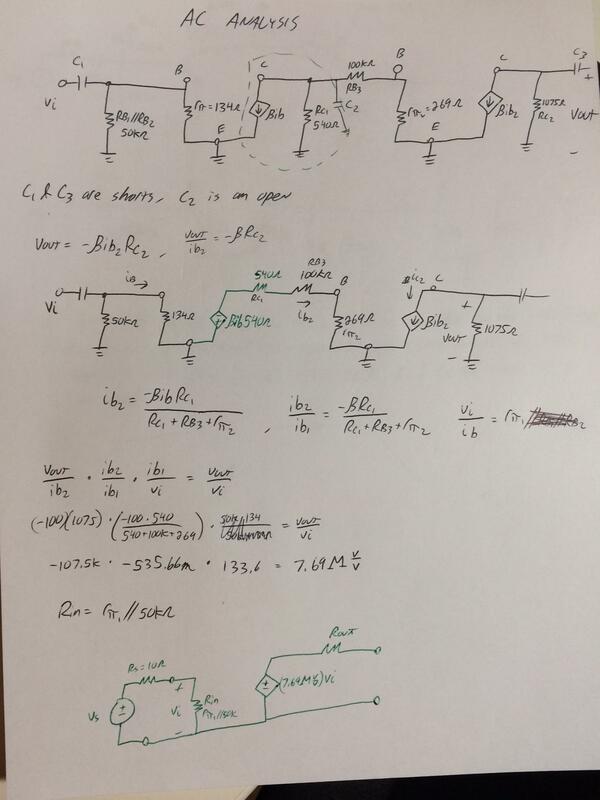 Current gain characteristics versus Collector Emitter voltage. Where is the transistor saturated? Can a transistor be saturated with a VCE of -10V?